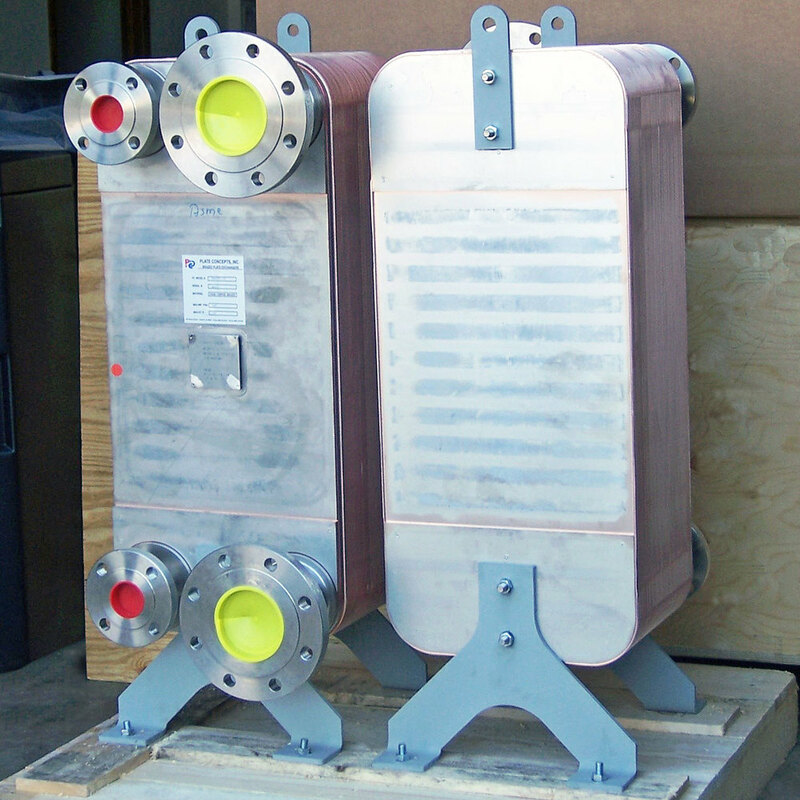 Brazed Plate Heat Exchangers by Plate Concepts offer many cost-effective and energy-saving benefits to a variety of process applications. 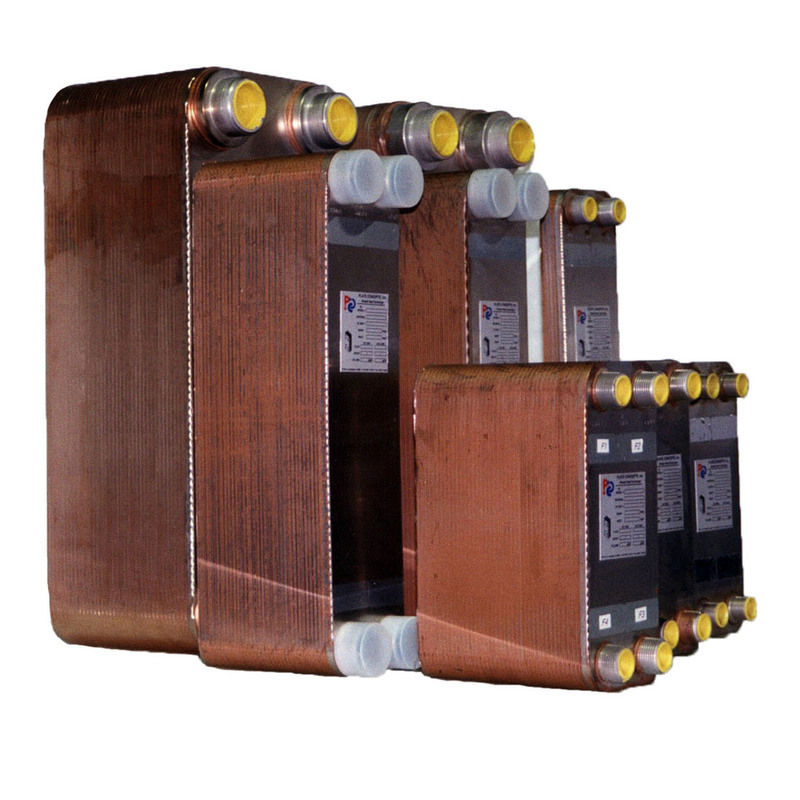 These compact, copper or nickel-brazed units are gasket free – allowing for higher operating pressures and temperatures than gasketed plate heat exchangers. Brazed plate heat exchangers are ideal for hydronic systems like radiant floor heating, domestic hot water, and snow melting. They are also used in refrigeration and oil cooling applications. Double wall construction is available for domestic water and other applications where cross-contamination must be avoided.